No shame. Don’t be embarrassed to pluck gems from amidst the junk. In fact, it’s far more embarrassing to over-pay for new stuff at the store when you could get the same thing for free. Neil’s even been known to dumpster dive (during college), but everything shown below was picked from the curb. Much of frugal living depends on the principle of shamelessness: not worrying so much what others think, being willing to haggle, be different, try new things, etc. The Frugalwoods extol the virtues of being a “frugal weirdo” here. Trash or treasure? Check if the item in question is broken. If it is, try to determine whether it’d be cheap & easy to fix. Neil’s restored many free & broken treasures, but leaves true trash behind. Is it useful? Trash-picking isn’t about grabbing every piece of garbage off the side of the road. We don’t want to collect junk, but are happy to gather items that are useful for hosting, occupying kids, our existing hobbies, or meeting current or future needs. See the pictures below for examples. Does it fit in my car? We use the word fit quite loosely. If we can safely get it home, we’ll cram it in. For example, we squeezed this pinewood derby track into our station wagon just last week (we haven’t had a chance to set it up yet). 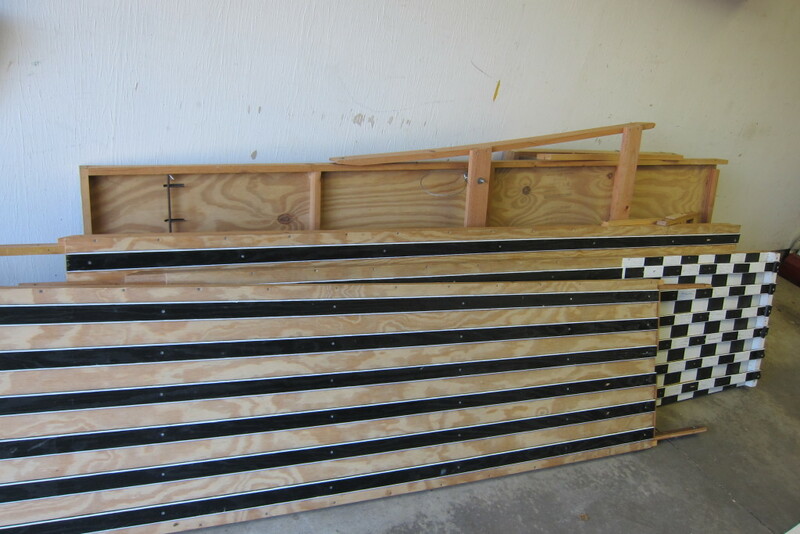 This pinewood derby track should be lots of fun for the kids & their friends. And our friends, too! 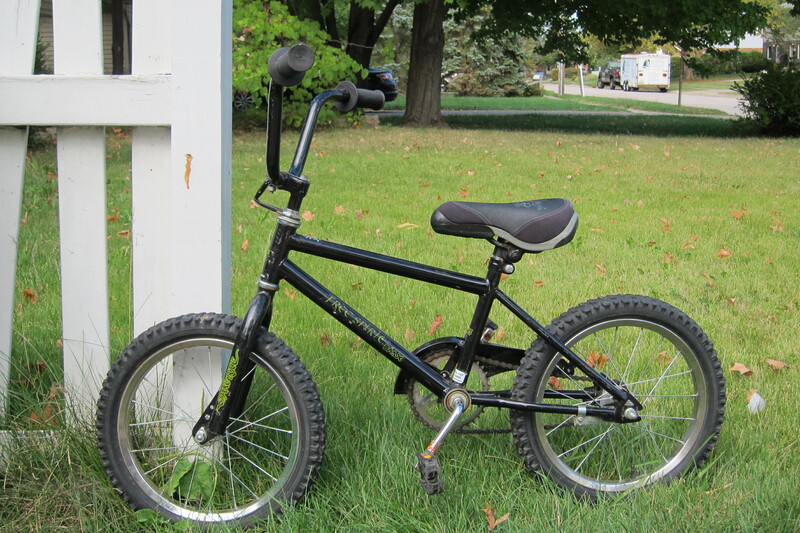 Our son loves his bike, & when he outgrows his, the next size awaits him. Firewood is super pricey which made this a great tree lawn find. 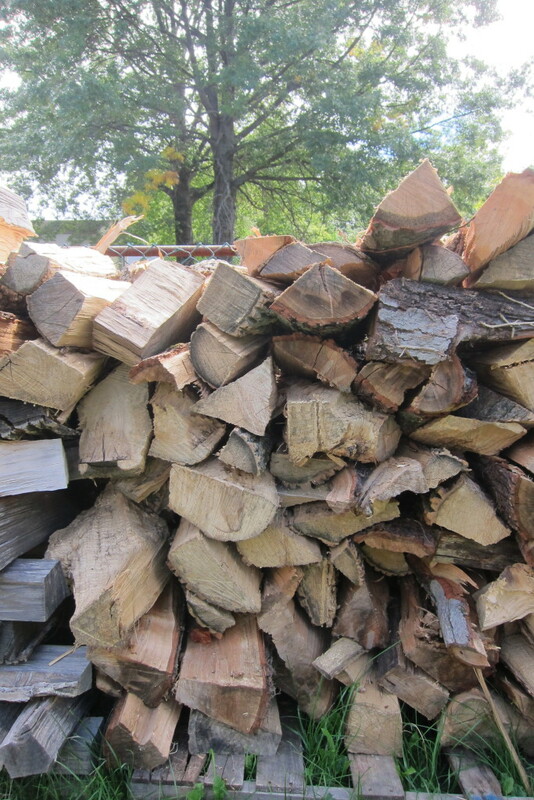 Neil will share his strategies for collecting free firewood soon. 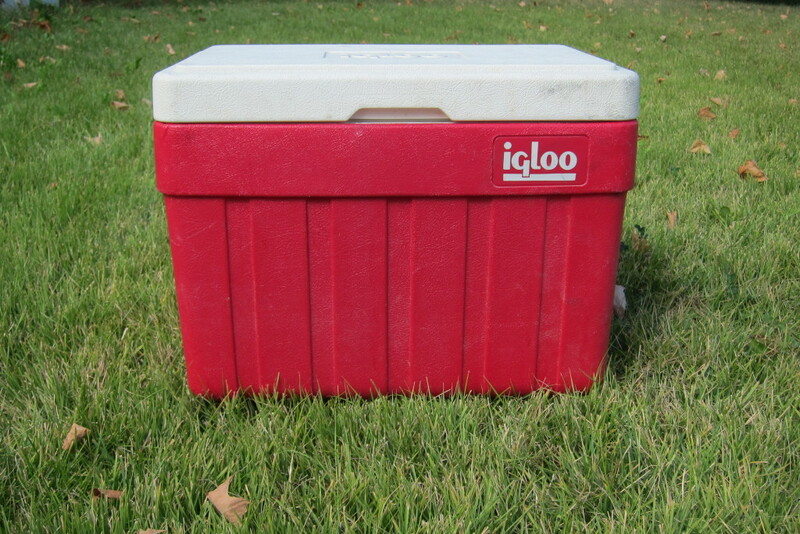 We’ve resisted replacing our not-so-great camping cooler, and found this better quality one in the trash. It’s also a bit smaller which is nice for our weekend trips. Perfect for hosting bonfires featuring our free firewood. 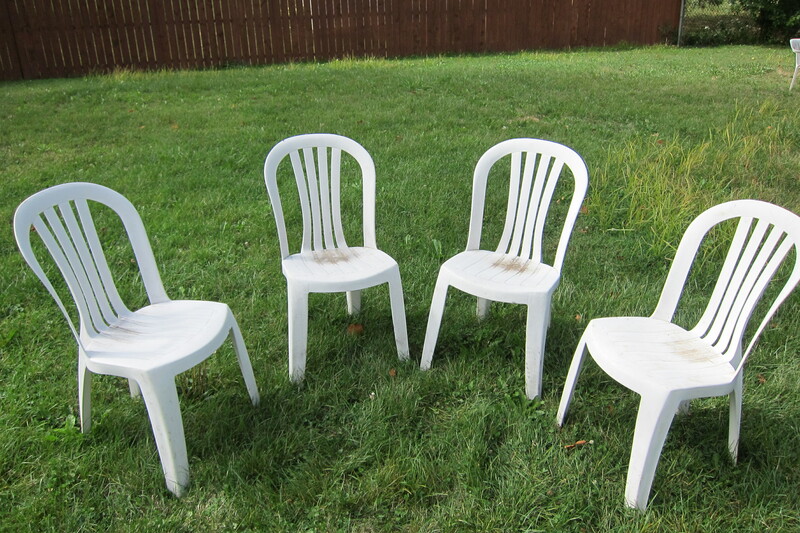 All of our many lawn chairs have come from the trash. Free tool boxes. Neil said it’s against “guy code” to let these beauties go to the dump. Whatever you say, dear. 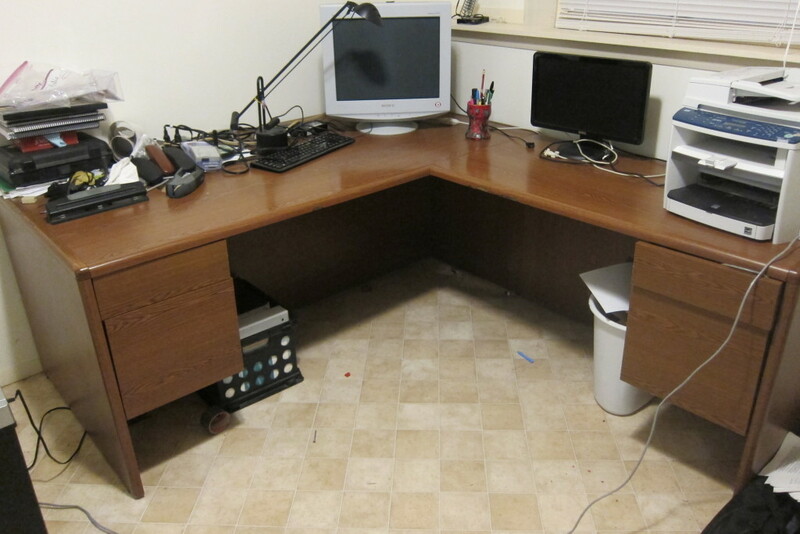 Neil hauled this huge desk out of an office building’s trash. It was the last act of service by his beloved 1985 Ford F-150. The pieces of this beastly desk covered the entire floor of our one-bedroom while we drove his poor baby to the junkyard. This was all while I was trying to cook many pounds of tacos for his college graduation party. Sometimes epic trash finds come at an inopportune time, but if it’s a useful item and you save some money, it’s worth it. Happy trash-picking! What’s the best treasure you’ve found in the trash? That is a pretty sweet desk for free! i found a really nice pair of swim trunks on the side of the road and my husband wore them for about a year! We found containers for storing our firewood, a trash can, pool noodles, and a ladder. We ended up fixing the ladder and selling it though. We wanted a fancier one after all. My husband also pulled a bike out of the ditch, but its in bad condition. Although I have a thing for Trek bike frames from the 80s, I doubt we will actually fix this one up. We didn’t find an acceptable patio set this year, which was pretty surprising since we live next to a college campus. I love that you have a shopping list (patio furniture) for the curb. That’s the essence of frugality! Gotta love recycled goods. I found an entire standing craftsman toolbox full of tools this summer. I couldn’t believe someone was throwing it out. Also I’ve learned to go to Givits in Hudson for me immediate hardware needs. They have cheap tools, screws, etc when you need something quick and cheap. Lowes is too expensive sometimes. 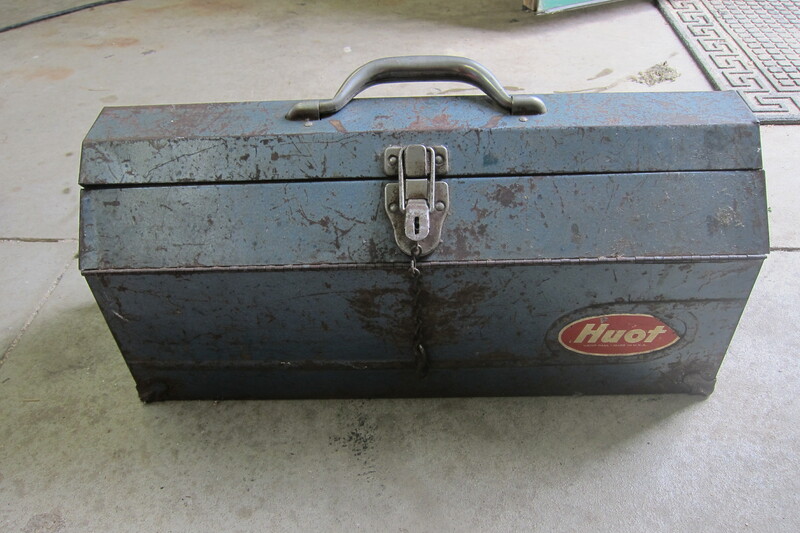 Wow, that toolbox was a great find! Good point, too, that trash-picking is a form of reusing and recycling. Bikes, a table, chairs, and an old door that Joel used for a desktop for years, we have found many good things this way. Paula is really good at finding things like this too! Some of us even text each other when we pass by something to let others know it is there (but we don’t want it). 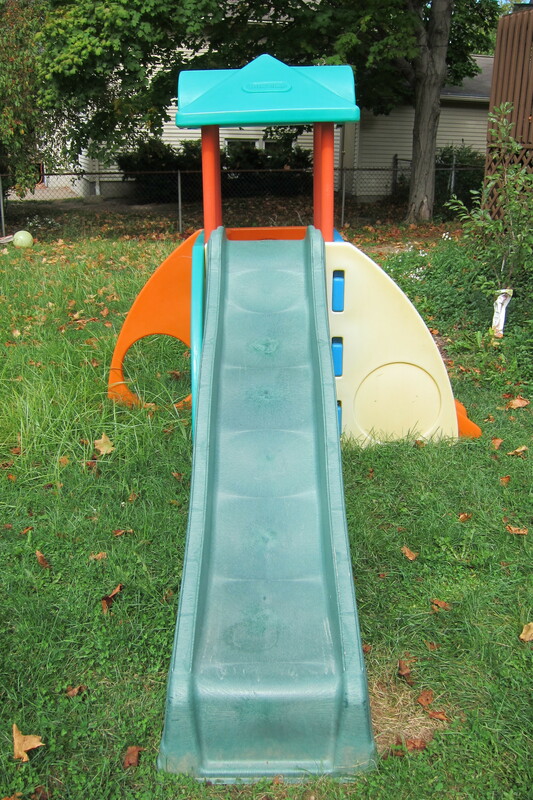 That’s great–a frugal friend trash find alert! Oh my goodness I’m so jealous of these trash finds! That desk is incredible, as is pretty much everything else you posted. I can’t think off the top of my head what my best trash find is, but obviously I need to keep my eye out more often. My husband likes to bring home things from work that would otherwise get trashed. He’s brought home a bike, a lawnmower, a computer monitor, and food like chips and cans of soda. I mock him at times but some of the things really do save money for awhile. Those are some good finds! Both of the monitors on the picture of the desk were given to us by people who didn’t want them (though they didn’t make it to the trash). It is kind of a humorous habit to “rescue” trash. I will pull things from the curb without embarrassment. Ah, I miss living near a university. Right before summer, all sorts of cool stuff got jettisoned. Somewhat true during the year, but mainly as students dumped stuff in a desperate attempt to get home without too many checked bags/filling a storage unit. That sounds like a great way to find garbage goodies! It is amazing, though I understand wanting to get something off your hands. We really don’t go out of way to find stuff, it just seems to happen along our normal routes. Hauled it home — he installed it this afternoon — and it works perfectly. A working convection oven certainly trumps all our trash finds! If you sell your old one you’ll really come out ahead. Happy baking! I look forward to the free firewood finding post. We heat mostly with wood! We are interested in heating with wood more. The post is in the works! That track is so neat! That’s too bad it damage your car so much. Your story is a good reminder to look over the item first. In our neighborhood people leave things on the curb all the time for free. 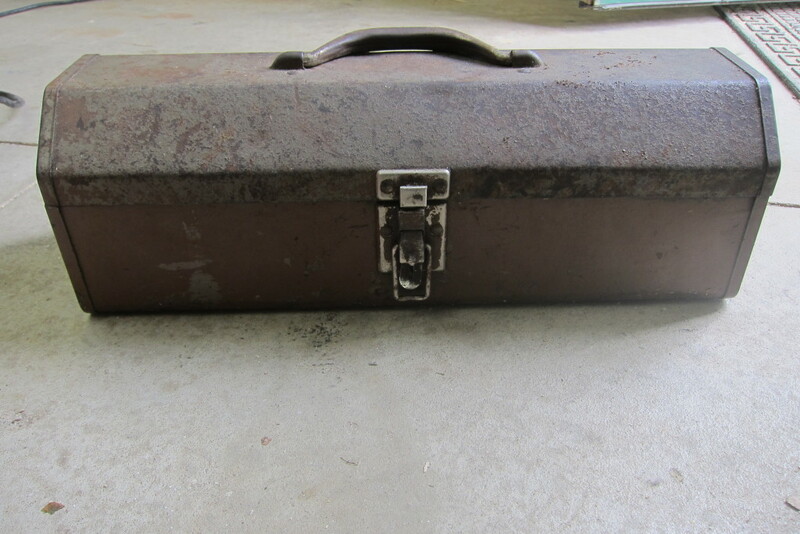 This weekend I grabbed and old laptop case that I am hoping to turn into a photo shootsac for my husband instead of shelling out a couple of hundred dollars for a new one. I also often leave things by our curb that I can’t sell or are not in good enough shape to donate. You never know what you will find! Way to get creative for the camera gear bag! Nice! We have picked many treasures from the road side over the years. But this summer’s fave finds were- a brass fireside set that is perfect for our wood stove. A 50’s/60’s bent wooden chair which goes perfectly with my father’s restored desk. A squirrel proof bird feeder. And a gorgeous solid wood tea/coffee/sugar canister set. Happy trash treasure hunting everyone! What great finds! There truly is treasure amidst the trash. I once carried home a 17″ cast wheel I someone was giving away on the curb. Brand new and for a late model Ford Explorer like my mom has. It was 100* out and something like 9 blocks up and down hills. Worth it.